Our team of writers brings you daily trend coverage, new products, inspiration, information and fun ideas. With an archive of more than 2,194 articles, you're sure to find something you love. Or if you have a great idea, let us know! Between October 16 and 18, Barcelona will host IoT World Congress to shed more light on the topic, investment opportunities, and its future. The event will feature multiple activities including awards and workshops. What is Internet of Things? Has technology affected the human understanding of IoT? What is the future of IoT? These are some of the vital questions to ask yourself ahead of the 2018 IoT World Congress in Barcelona. The event, which will see the Top Internet of Things Companies meet between 16th and 18th October, will focus on aspects affected by IoT. Such areas include transport, manufacturing, infrastructure development, energy, and healthcare. While the Barcelona event will focus on IoT, technology is the mastermind behind it. 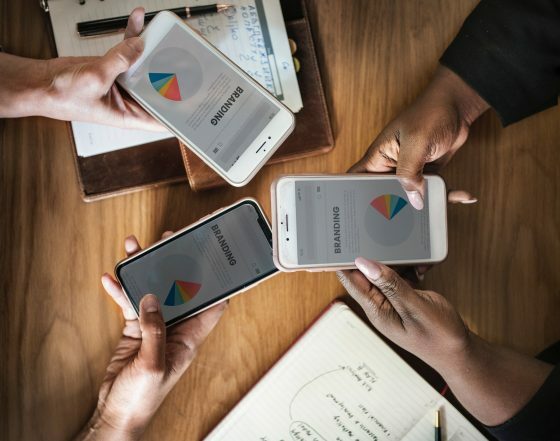 Just like technology has revolutionized nearly all aspects of human lives, it has brought massive opportunities regarding devices interconnections. For instance, it is easy to access cheap wireless networks or processors, which are vital in IoT. But even as the Top Internet of Things Companies are set to meet between 16th and 18th October, one question remains challenging to most people: What is Internet of Things? Below is what you should know about IoT ahead of the Barcelona event. IoT is the interconnection between billions of devices globally, which can collect and share data. These devices are physical, and range from tiny objects like pills to large objects like airplanes, and are interconnected via the internet. Over recent years, IoT devices have been growing in number owing to the reducing cost of wireless networks and processors. According to Statista, an estimated 25 billion devices will be part of IoT devices by 2020. The figure is massive compared to the 4.88 billion devices that were interconnected in 2015. The effect of the internet of things revolves around all aspects of human lives. Think of a smartphone app that can control your thermostat or coffee maker that switches on automatically when you get out of bed. Indeed, controlling your thermostat temperature or coffee maker is an easy task for you. But wouldn't this automation help eliminate the stresses and effort involved by humans? There are nearly endless examples since Top Internet of Things Companies are involved in most areas of people's lives. Ultimately, this invention results in smart homes and workplaces. There is much discussion revolving around the future of internet of things. 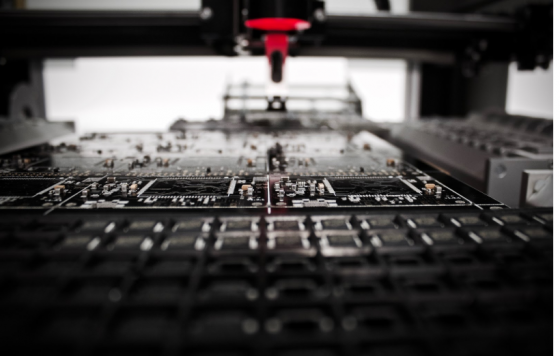 As the rate of data sharing between physical devices increases, and the Top Internet of Things Companies ramp up their operations, it is easy to foresee a bright future for IoT. For instance, you may end up with a freezer that can remind you to buy perishables through RFID Product Chips scanning. Automatic opening of your garage door, whenever you want to drive through, might be another example. There are many examples; IoT will be a focus in the tech space, leading to substantive development in how we do things. 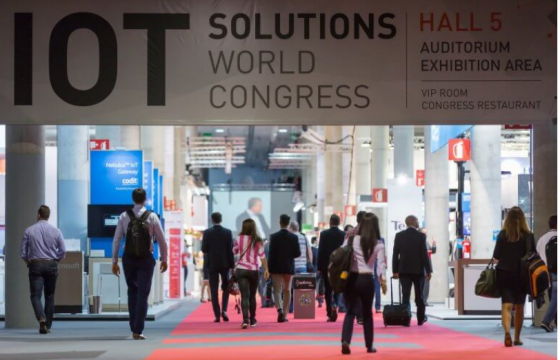 MD: Between October 16 and 18, Barcelona will host IoT World Congress to shed more light on the topic, investment opportunities, and its future. The event will feature multiple activities including awards and workshops. We all start being freelancers thinking it's going to make our lives easier - we would put an end to underpaid work, we can manage our own time and best of all - do only the projects we love. If you are reading this, then you know that it's not all that perfect. Sure, we get to choose the clients and learn something with every new project, but there is still a certain uncertainty when pricing our work, how do we do it right? There is a lot to consider, for sure. Of course that you wouldn't want to charge as much for the projects you really enjoyed and supported, for those you are doing for a friend and delivering work for a non-profit or charity. Things to consider when pricing your work are the details of the project - what is required from you to do? Also, you would want to adapt the price to the scale of the company that is hiring you, as well as the number of revisions you will do. First thing you need to do right is your project proposal. 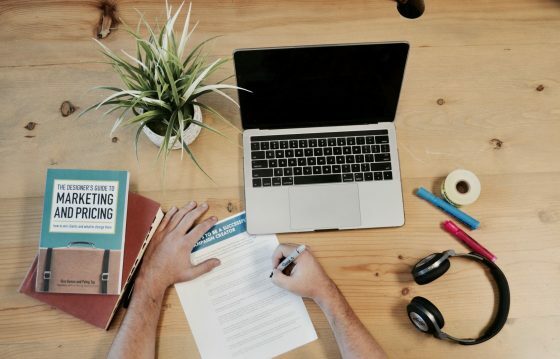 When writing your project proposal you want to make sure you are scheduling the deadline you can meet, offer all the details of what content you will provide and do not undercharge your work! For the amount of working hours, you need to charge adequately; otherwise you are risking a failure of the project you cannot dedicate to. When pricing your work for a client, bear in mind that you are not offering just your time, but also all the experience and skills - a lifetime of learning and dedication to your clients needs. If a client suggests that you are too expensive, you need to be confident about the uniqueness of your offer - know what it is that will make the client happy, that you can offer and no one else on the market can? Why are you the obvious choice if someone wants to invest in their brand and the future of the company? Feel free to use all the work you ever did to prove your worth - content clients, good reviews, portfolio of chosen projects you are proud of and a clear vision of how will the work you do help this clients business for years to come. Often, when you look for advice of how to price your work, you come across many equations of how other freelancers figured it out for themselves. In simple terms, though, this comes down on how to break even by doing what you do. This mind frame can help you choose projects according to your realistic needs, be paid well enough to live the lifestyle you want and invest in your future. Make a clear calculation of your monthly expenses (rent, food, bills, etc), have a number of how much do you have to make per month in order to survive. Many freelancers rush into underpaid projects which take them too much time, without thinking of how they will cover their life expenses at the end of the month. Second important number to this equation is the amount of hours you can/want to work per day. Decide for yourself what is the perfect amount of work every day - whether you will work four hours before and four after lunch; whether you will or will not work on weekends - make a clear schedule for your perfect daily balance. I met designers who work best at night. Their whole wage was centered on how many nights a project will take them, and thus their lives adapted to their working mode. Everyone has their own rhythm, which is why 9 to 5 working hours are not your first choice. Best part of being a freelancer is being able to adapt your work style to your biorhythm. When you have the numbers stating how much you spend per month and how many hours you will work per month, you can make a calculation of how much money you need to make per hour. Use this number as a referral, as a minimum of all minimums you should charge per hour. With this in mind, you need to take care of your monthly savings, think of things such as health insurance, retirement savings and other grown-up to-do's. In addition to this number, you should be realistic oh how much you are worth and what is the optimum of how much you want to be paid in ideal circumstances. This will help you work for more expensive projects and save money for a holiday, renovating the apartment, joining the gym and other activities and joys which differentiate your life from surviving. 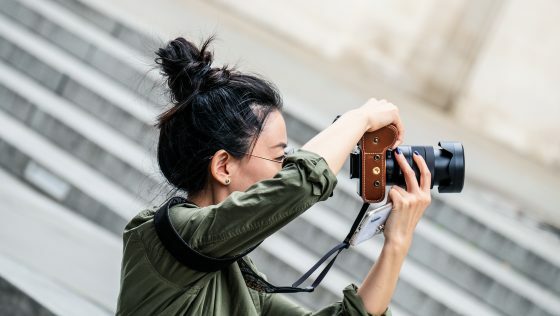 A friendly advice for your yearly budget is to consider how much you want to invest in improving your skills and better equipment for your work. Remember - the best job is the one where you get to learn every day and grow both on personal and professional level. Nina Petrov is an activist, poet, performer and mathematician. She communicates with the world mostly through words, movement and equations, but sometimes also by speaking very loudly. The only truth she could say about herself is that she keeps changing every day, never stops learning and interacting with her surroundings. When communicating with clients, quality representation of our idea is very important. Client wants to see what your vision is, to have a clear picture of how it meets the demands of the market, and how it interacts with the users. 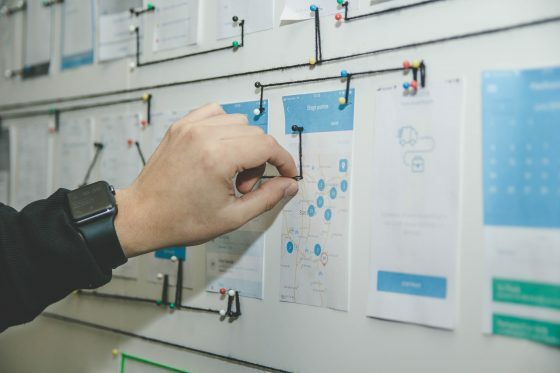 When choosing the right software to develop your prototype, you should consider which characteristics and features are essential to your work, which software can you easily adapt to and what fits your design process best. 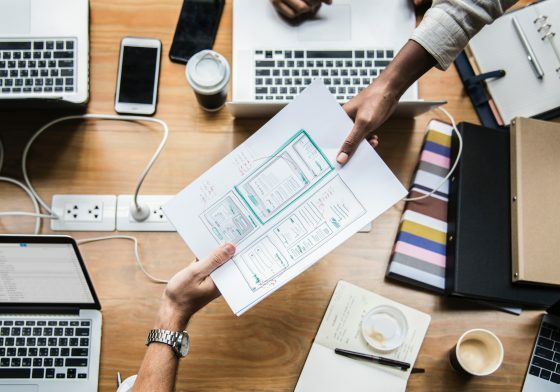 A factor in choosing the right software is also your team, or better say if you are working within a team, as you would then require a software which you can share between yourselves. You would also need a program compatible with other design tools you already use, to avoid having to download loads of side programs for UI design. For those of you who are already used to Photoshop or Illustrator, Sketch is something you would easily adapt to. It is based on vectors, which ease the whole process of design, it is very intuitive and the simplicity of it helps you develop an interface super quickly. One of its most popular features is nested symbols - the ability to add very simply pre-designed buttons, bubbles, widgets and even some more complex mechanisms. Great feature you can find useful is the ability to export your design into code, which enables easy implementation into, for example, web design. Sketch is only available for Mac, comes with a free trial, and its full version can be purchased for $99. A tool which integrates with Sketch, InVision is dominating the UI/UX market without any doubt. The greatest benefit coming from this amazing software is it's support to team work - within the program itself you can coordinate your project, manage tasks, follow the development and keep notes for the rest of your team. This program is compatible with many other useful tools for project management, such as Trello, Slack and Dropbox. InVision will make your offer to the client way more impressive with the ability to offer guided tours, bringing them a presentation that will blow their minds away. Among companies which had their UI/UX prototypes developed using this tool are Twitter, LinkedIn and Uber, which gives us an excellent review of this software. It is compatible for Mac and Windows users, it is free for one project, and price varies from $15 to $99 per month, depending on your needs. Balsamiq offers one of the easiest ways to create a mockup, dropping the elements on the board and moving them around. Everyone can master in using this amazing program. It is very useful for rough sketching of prototypes for fast delivery of your idea to the client. It comes with a big library of elements (icons, images), enabling you to do a simple wireframe. This is not the program you would use to develop a complex prototype for an app, it is rather intended for static wireframes and for relatively new designers in the world of prototyping. Available for Mac and Windows, comes with a 30-days free trial and the cost of the license is $89. Developed by Facebook, this software offers you a possibility to easily design and test your idea. It allows you to import your designs from Photoshop and Sketch, where you can adapt them and make them animated and interactive. Origami also enables you to export the elements of your prototype, send them to engineers and come step closer to your product. It is recommended when you are working with a contemporary interface and developing a modern and innovative idea. By using an app Origami Live, you can explore your work directly on your devices in real time. This program is also reserved for Mac users, while it is absolutely free to use. Webflow seems to have dominated the market as the most functional software for building the websites ever. The idea behind this incredible tool is for a designer to be able to construct a website without having to write the code. It is compatible with Windows and Mac, free for two projects, and from $16 to $35 per month for more projects. If none of these top 5 programs work for you, some of our honorable mentions you can try are Framer, Adobe XD, Justinmind, Fluid UI, Axure, Principle, Atomic and Proto.io. Explore these options for unlimited creativity in prototyping your design! August and September's choices were quite unpredictable. We chose the colors that made us happy, reminded us of food, and matched our overall mood of the day. We chose the best palette ever made on the platform and the best palette of all times made by a Colourlover. 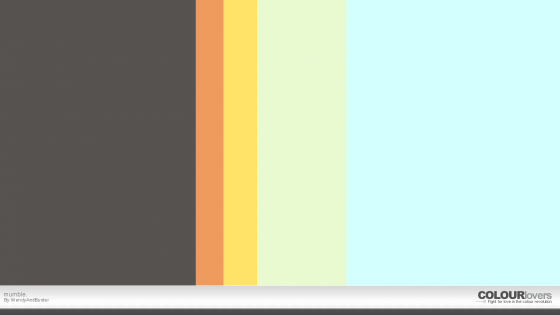 We asked you to help us choose the best palettes on our Twitter channel, and you helped out. Thank you for being so collaborative and expressed your opinion Colourlovers! Let's review the questions that we asked and see the winning palettes again. Which was the best #lace inspired palette? Which was the best #volcano inspired palette? Which was the best #moon inspired palette? Which was the best #castle inspired palette? Which was the best #heart inspired palette? 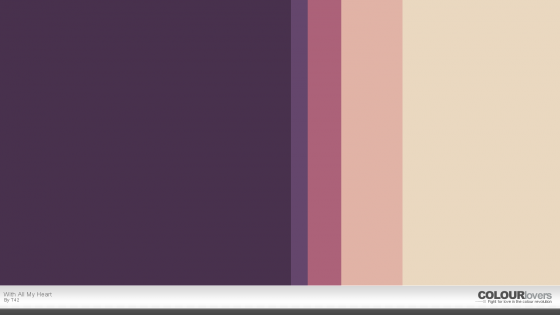 Which was the best palette of all times on COLOURlovers? Which was the best #makeup inspired palette? 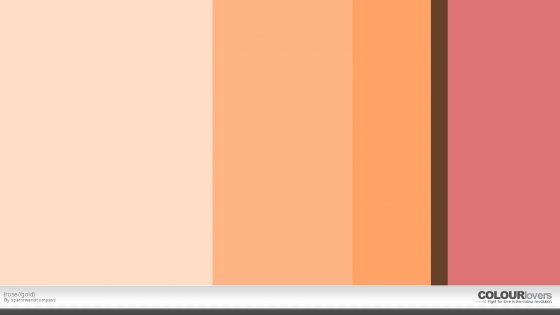 Which was the palette of the day (13/9/2018)? Which was the best ever of @sparrowandcompass' palettes? Which was the palette that made us #happy? 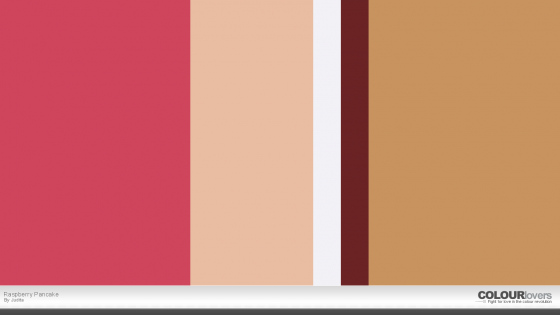 Which was the palette of the day (24/9/2018)? Which was the best #pancake palette? Which was the best #pumpkin palette? 6. The palette that made you happy: Happy Day ! 7. The palette of the day (24/9/2018): mumble. Share which one is your favorite. We can't wait to hear from you! Ana Maksimovic is the community manager and editor at Colorlovers. She is a part-time traveler and part-time web and graphic designer working with sustainable brands. She is passionate about photography and nature - a never-ending source of inspiration. 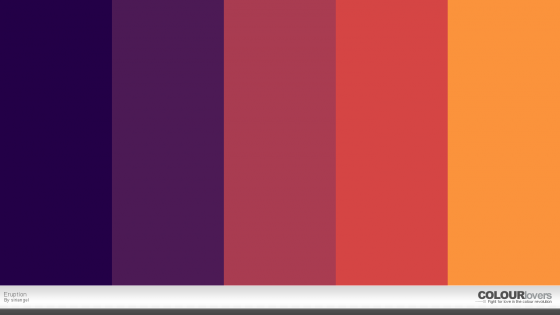 Can the colors that you use on your website actually help to make or break its success? It seems far-fetched, but there is research to support the claim. In fact, psychologists have spent years studying how color affects human perception. They theorize that certain colors may make you feel hungry, excited, sad, curious or happy. Now, experienced website builders are taking note of these findings and using them to their advantage. The reality is that colors affect how people feel. The eyes perceive a color, and this is communicated to the hypothalamus in the brain. This communication results in a variety of signals being sent to the pituitary gland, through the endocrine system and straight to the glands in the thyroid. The thyroid, of course, is responsible for releasing hormones into the human body. Those hormones can be powerful, influencing mood and behavior. People who study color psychology estimate that when people assess a product, color is the number-one, overriding factor in their consideration. Many consumers make a split-second, albeit perhaps subconscious, decision regarding whether or not they are going to buy something based almost solely on the color. 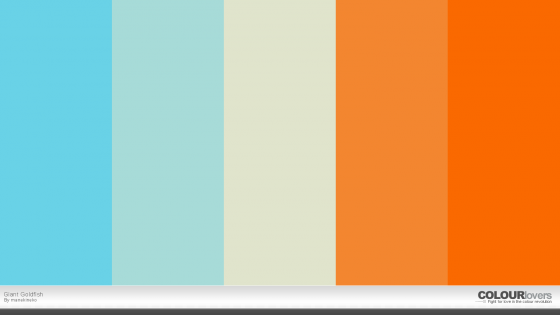 Whether webmasters realize it or not, color psychology also is at work on their websites. The colors that they choose for the main elements on the pages and the buttons that visitors use to make purchases really do make a difference. Choose the right color, and your conversions may skyrocket. Go with the wrong color, and you may find yourself dealing with a dismal conversion rate. Big organizations put a great deal of time, money and effort into branding. This includes the company name and a distinctive logo, but these aren't the only considerations. Of primary importance is the color in which the logo and brand name are presented. Accordingly, it makes sense to put some serious thought into the colors that you use on your website. The backgrounds, borders, hero graphics, popups and buttons all need to present a coordinated color strategy. Even more important than coordination is choosing colors that will have website visitors clicking on the "buy" button. 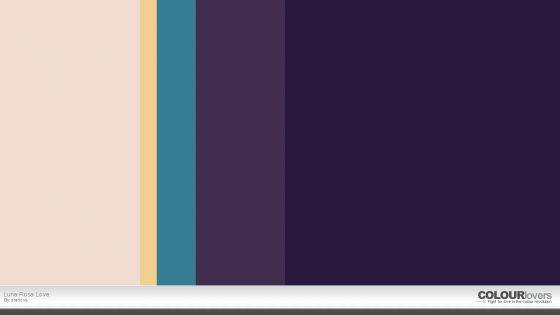 When it comes to using colors on websites, it feels a bit like the stars have to be in alignment. 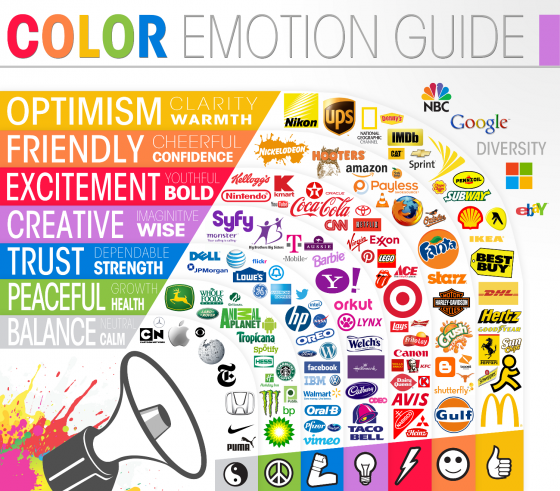 The colors have to be right for your brand and be appealing to your target audience. We can see a great example of this use of colors with most VPN services. The organization is fairly conservative, and so is its clientele. Splashy oranges, yellows and greens are probably not the way to go. Instead, tones of white, black, silver and navy blue are preferable. These colors are classic and pleasing to the eye. Moreover, they may be suggestive of trustworthiness and reliability, characteristics that most people would value when it comes to protecting their personal data from cyber criminals. Alternatively, consider the case of a party planning business. Fun and vibrant events are their specialties. They do everything from birthday gatherings for six-year-olds to retirement parties for business executives. This may call for some brighter, more energizing colors. Red, yellow and orange wouldn't be out of place. Plus, you might see some pinks and purples, depending upon the event. Whatever specific colors are chosen, they should evoke feelings of fun and excitement. It also may be profitable to consider the gender of your typical customer. Research suggests that women gravitate toward blue, purple and green while they are repelled by orange, brown and gray. Men are different. Like women, they prefer blue and green, but black is a favorite too. Most of them dislike brown, orange and purple. 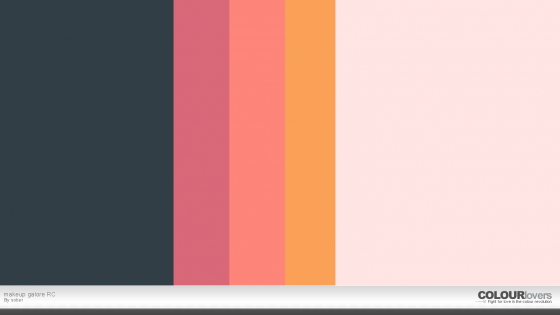 The upshot is that if your business is primarily geared toward either women or men, then you should take these gender-based likes and dislikes into consideration when creating a color scheme for your website. Many website gurus swear by using green on call to action buttons. Typically associated with all things natural and environmentally friendly, it seems that green also is an effective hue when it is used on website elements like "buy," "add to cart" and "submit" buttons. It is especially effective when it is the only green element on the page. Researchers say that this is because of something called the "isolation effect." 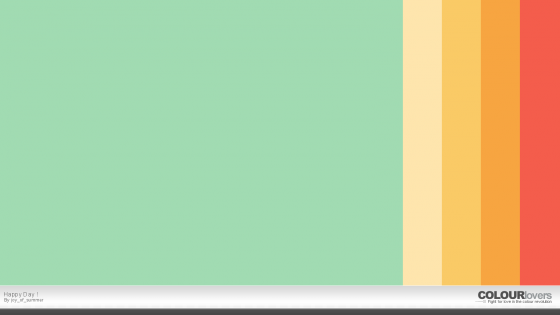 When the conversion step on your website is the only green element, users can't help but be drawn to it. Other colors also perform well when it comes to increasing conversions. 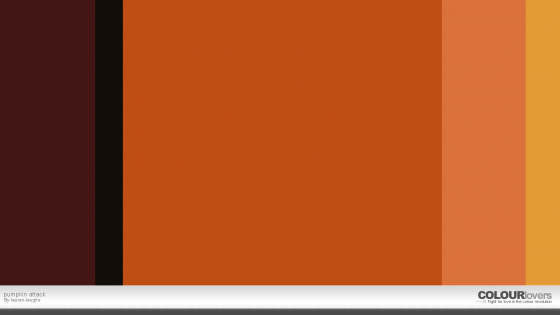 Orange is a particular favorite of web designers as you can tell by this typical product recommendation layout. Note the recommended purchase choices are accompanied in each instance by a big orange button. Red and yellow convert well in this environment also. Darker colors tend to exhibit low conversion rates. Either people don't see them or the dark colors are actually de-motivational. Overall, orange is not a favorite color of either men or women. Red can be the color of danger, and yellow is often used as a warning. If these colors are generally distasteful, why do they perform so well from a website conversion standpoint? The answer may be that these oft-reviled colors can’t help but draw attention. 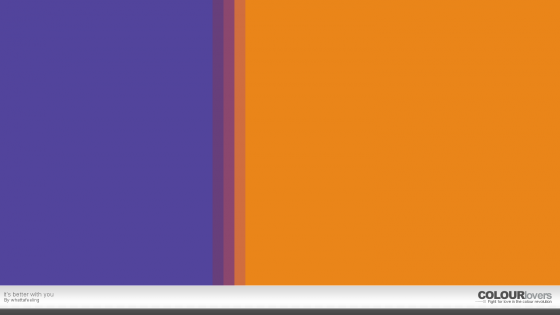 Someone perusing a website can't keep their eyes from migrating toward those call to action buttons in colors like red, orange and yellow. This is why you may want to choose an overall color scheme for your website, but then use call to action buttons in contrasting colors like green, red, yellow or orange. Of course, white space also can be a wonderful thing on a website. Don't neglect or banish this restful shade from your pages. It's what lets your visitors feel like they can relax and breathe while browsing. Plus, it will make the other colors that you choose pop off the page. In this day and age, graphic design plays a very critical role in the success of a business, or lack thereof. Top-tier graphic design matters because it sends a message to customers, clients, and other individuals who could be of use to the enterprise. 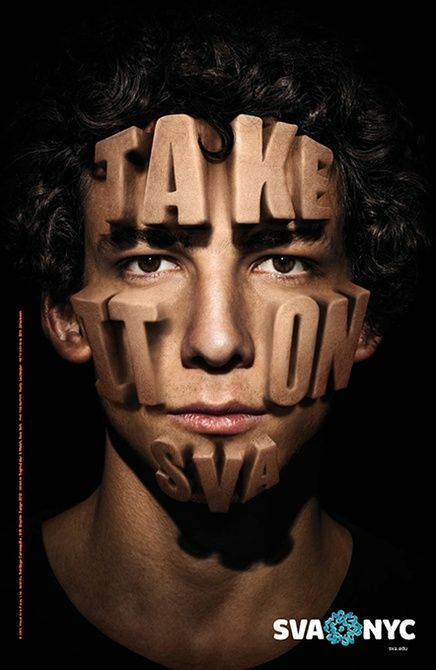 Moreover, graphic design sends a message about the brand itself. There are a variety of psychological components associated with graphic design; these components can determine outside perception and much more. For these reasons, an awareness of the best and most up-to-date graphic design software is absolutely imperative. Likewise, minimizing costs and fees are also vital practices to ensure the longevity of a business. Thankfully, with the use of high-quality and free graphic design software, businesses can thrive and take their endeavors to the next level. As the name suggests, Gravit Designer is a design application which is effective and relatively easy to use. This particular software comes with various tools which are designed to craft high-quality imagery, tech engines, path graphs, blending fills, and more. Gravir Designer also comes with a Cloud service, thus permitting users to access the software regardless of their present location. There are no fees associated with Gravit Designer and the software can be used on ChromeOS, Mac OS, Linux, Windows, and Browser. Krita is one of the best, free graphic design programs and primarily focuses on painting, animation, and editing. The software also comes with advanced drawing templates and aids; comic book artists are most likely to love and make the most of this design. Krita was furthermore created by artists for artists; this is readily apparent, given the features which Krita offers. Any business which requires high-quality graphic design or illustration will absolutely benefit from all that this particular software has to offer. Businesses which require the use of graphic design for imagery will become big fans of GIMP. This software is not only regularly updated and readily expandable, but it also comes with a variety of tools which users can customize in order to suit their preferences. Businesses can furthermore expand GIMP by using the proper plugins depending upon the device which they are operating on. This software also comes with next level layers, brushes, masks, and filters. Photo editors and graphic designers are guaranteed to have a ball with this software. Blender is the ideal, free tool for graphic designers who are working to create 3-dimensional content. This software not only comes with a modest learning curve but also a supportable format and features which are easy to customize. While Blender’s interface may initially come off as daunting, it merely takes some getting used to. Individuals who opt to use Blender are presented with a plethora of options to simplify the experience and make the software work for them. Blender furthermore works well with rigging, modeling, animating, and rendering content. Blender users frequently employ the software during the creation of feature films, mini-films, and television shows. Similarly to the preceding graphic design software, Canva is free of charge and ideal for the right individuals and businesses. This particular software specializes in allowing its users to communicate messages and share ideas. Canva allows for the creation of infographics, email headers, presentations, and more. The software furthermore comes along with a variety of images and vectors; individuals and businesses have the option of using these features or inserting their own forms of media. Canva users will also be delighted to discover myriad fonts, image icons, and photograph fillers. Regardless of which graphic design software one chooses, understanding its importance in the world of business is absolutely paramount. In a nutshell, graphic design is a form of professional marketing. In many scenarios, graphic design has the power to determine whether or not a brand or enterprise succeeds or fails. The manner in which a business presents itself also speaks volumes and sends a general message of who they are and what they’re all about. This software is great for smaller design projects but if you want to print large graphics like Styrene printing, you will need professional software. 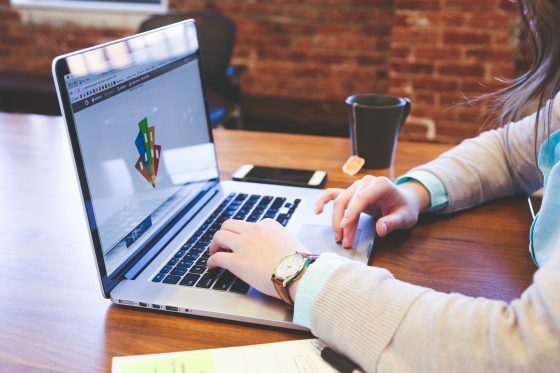 While the top-tier graphic design will always matter in business, adhering to an appropriate budget, especially in the beginning phases, is equally as critical. Enterprises which fail to live within their financial means will not last for very long. Thankfully, each and every one of the above graphic design software programs are completely free of charge. Contrary to popular belief, businesses do not have to break the bank or go into debt as they engage in marketing. Free graphic design tools work just as effectively as their costlier counterparts, if not more so! 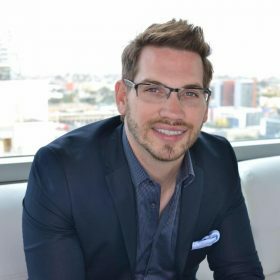 Brandon Stapper is the Chief Executive Officer of Nonstop Signs & Print, a Los Angeles Printing Company. At 20 years old, with no formal education and only a few hundred dollars, Stapper turned a $400 custom decal machine in a garage into a printing powerhouse. Nonstop Signs & Graphics has made the Forbes Fastest Growing Companies Award 4 years in a row and services 10,000 clients yearly. If this is the first time you hear about Stefan, it is our pleasure to introduce you to this genius designer, artist, storyteller and your future work guru. 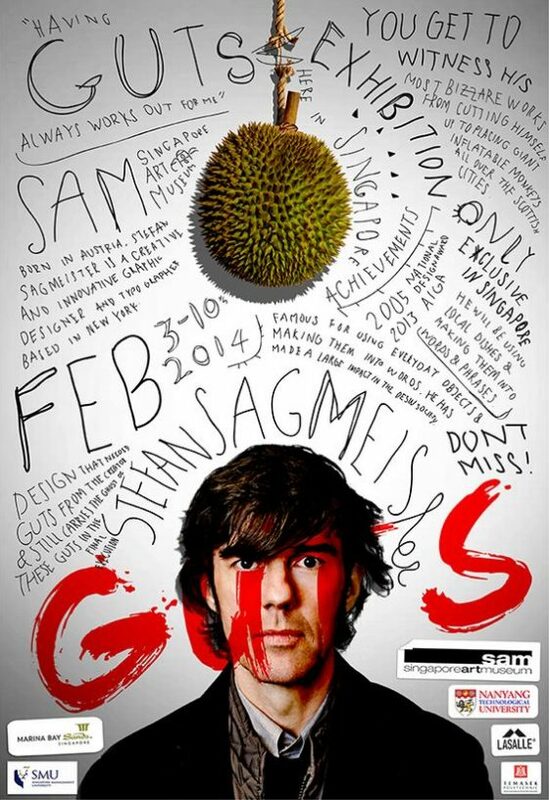 Sagmeister is a New-York based artist and co-founder of the Sagmeister & Walsh creative agency in New York City. Stefan's life dream was to combine two of his passions - music and design. This led him to a journey of working on projects for Rolling Stones, Lou Reed, Jay Z and many other big names in the music industry. 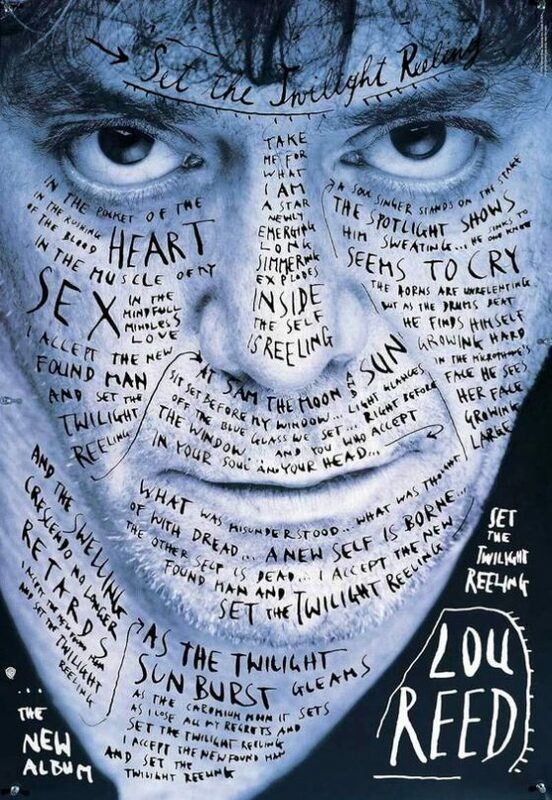 His designs of album covers are poetically responding to the music, his sensibility has made this work extraordinary, and his clients ultimately satisfied. He is a true example of a passionate artist who sees design as much more than his career and profession. In fact, what is even more interesting than his work - is his work philosophy, the way he unlocks creativity and keeps his passion for design alive. As a Ted Talk speaker, he brings us his working model and tells us what truly inspires him in talks "Happiness by design", "Things I've learned in my life so far", "The power of time off" and "7 rules for making more happiness”. In his talks, he reveals his point of view on how happiness is significantly different from the visualization of happiness, how the feeling of joy is connected to design and how design of objects can give us pleasure. If we look at things we enjoy the most, design and function of objects we use has an important role in how much we enjoy a certain activity. Visual happiness has been used lately in a cynical way, as showing happiness and awaking the experience of happiness are two completely different acts. Saigmeister explores the relationship between design and happiness, and while learning new tools, ideas, techniques and inspiring quotes, he creates graphic design art pieces to give credits to these truths about him - sentences like "Money does not make me happy", "Worrying solves nothing", "Having guts always works out for me". He is presenting, from his own example, how the true inspiration for his work lies in his life experiences and the inner thoughts about life itself. These art pieces were created for clients, and while searching for inspiration to answer a task in his profession, he discovered that the answer was already hiding in his diaries and these ideas were waiting to be explored and turned into art and design. His work is focused on record labels, but also magazines, culture facilities, while his collective of designers also exhibits their work in galleries, public spaces, projected videos in art spaces. His statement "Having a diary supports personal development" came out as something he's concluded about himself, and eventually it was presented to the world as an amazing combination of tools explored to create a film and animation, with purpose to share this idea. These statements sometimes end up on billboards, such as "Complaining is silly. Either act or forget." which was placed on a rooftop of their gallery in New York, and for the materials they choose to work with newsprint and stencils on the newsprint. As the sun was changing the color of the newsprint to yellow, they removed the stencil and shipped the print to Lisbon where they placed this work on a billboard. Three weeks later, the sunlight faded the sentence and the billboard turned to yellow completely. He is also an intriguing individual who created a documentary film about seeking his own happiness and fulfillment, titled "The happy designer". For this film they used natural elements in Bali, bananas, trees, animals and tree climbing, which made the design elements of the film much more interesting and different than everything you've seen so far. Behind this film lies a lot of research around the topic, which shows how much people's happiness depends on social interactions with other people and their loved ones. The highlight of his work and philosophy is, without any doubt, the policy to take time off work for the entire year, every eight years. His studio shuts down for the year, while they experiment, relax, develop a creative lab of just letting their imagination grow and create stunning designs. He seeks this inspiration in nature, just as his film was created during his time off at Bali, and during this period they also built furniture for the studio, inspired by the wild nature as well as the culture and craft practices of Bali. He claims that his sabbaticals are of high importance for his creative work, that taking time off unlocked the creative potential and enabled the time to meditate, read, explore, play and gather inspiration for the next eight years to follow. His book "Things I Have Learned in My Life So Far" is published and can be purchased online. Whether you are creating a wedding stationery, a billboard ad, or a portfolio website, the one step that designers should almost always need to perfect is their choice of final design. After all, this is what clients pay you for and what will make your business more valuable in the eyes of your customers. But before you can come up with the best final design for any kind of project, a certain level of introspection is required. As a lead designer of a project, you need to develop the necessary skills that will allow you to effectively choose a final design that matches the client’s brief. And to help you with that, we have compiled the top 7 questions that any graphic artist should ask themselves before deciding on a final design. Read each question carefully and make sure to answer them as honestly as you can. What is the design theme? One of the first things to consider when creating any kind of project is its theme or motif. 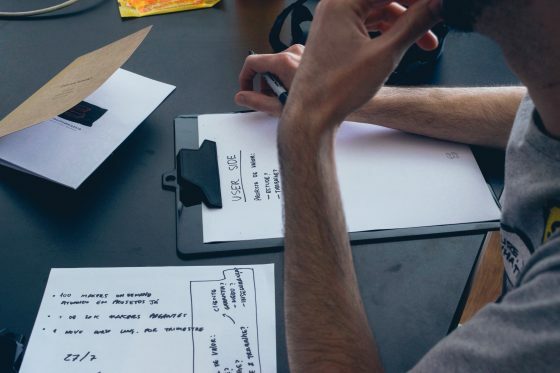 At the beginning stage of the design creation process, following a theme will help direct creators on the right path for that specific design. But this is not where the importance of a project’s design theme ends. As the lead designer, you still need to make sure that your final design sticks to the original theme you have decided with at the beginning. To illustrate, if you are creating a billboard design for a mid-range activewear clothing brand, the final billboard design should adhere to the active lifestyle and market demographic that the brand caters. Of course, your clients will still have to approve a specific design or not. What is important is that you (as the lead designer) would have already narrowed down the design choices so that your clients will no longer feel overwhelmed on what final design to choose and use for their respective projects. Before choosing a final design, the next question to ask yourself is whether or not a design is too trendy. There can be a few instances where trendy designs can work out well for brands. But if having a project design that can be used for multiple instances throughout the years is your goal, you may have to evaluate if a certain design is trendy or not. As with any kind of design project, designers are given a project brief or a description of what the client wants to have or achieve for a specific project. And most often, clients will prefer a design that will withstand the test of time and something that can be incorporated well into other marketing and informational corporate publications. As the lead designer, you need to determine and choose a final design that will match the client’s desires and, at the same time, not be too stylish that everyone else in the industry is doing it. Can the design be easily understood? Most graphic design projects are meant to entice and make another person think by just looking at it. This is the reason why most clients demand the creation of simple yet impactful design suggestions. It is then your job as the graphic designer to translate the client’s objective into something that can be easily understood by the public. In short, you are the storyteller. And you need to choose a final design that will best tell the brand’s story to your audience. For instance, if you are tasked with the creation of a company logo of a family-owned restaurant, you need to choose a final design that will imbibe the spirit of a family cooperation, easy meals, and fun times all in one tiny logo. Achieving the perfect logo design that perfectly fits the bill can be difficult. However, if you begin with the company’s story—its beginnings and how it continues to provide hearty meals for families—you will have a story to tell and you can begin developing design mockups that match that narrative. To determine if your design can easily be understood or not before submitting it your client for review, you may take inspiration from real-world examples of projects found on graphic design inspiration blogs Behance, Dribbble, Template.net, Canva, and colourlovers.com. Are all included graphic design elements licensed and legally obtained? In most cases, graphic design projects will involve the use of different kinds of graphic design elements. 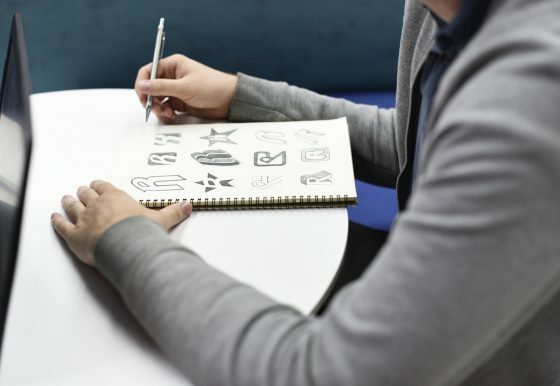 From flat icons to logo designs to certain typeface families, designers will need to, one way or another, source these key design elements from different people or sites. This is why, if you are now on the penultimate stage of the design process, you would most likely need to make sure that all the graphic design elements incorporated in any of your final designs are all sourced legally. For instance, this means that you need to ask yourself and verify if a certain font style was bought and downloaded legally. As the lead designer, you also need to recheck if these design components can be used for commercial purposes. One main reason for asking yourself these questions is to make sure that you (and your client) will not be sued for intellectual copyright infringement in the future. Ask yourself this question before you choose a final design and you will save yourself (and your client) any potential legal headache in the future. And even if you do not get sued in the future, the negative publicity associated with using someone else’s design or a derivative thereof without their written permission may break your own and your client’s credibility. How does the design measure up against its competitors? One of the main purposes of creating impactful design is for marketing. Brands and businesses frequently need to come up with a creative and enticing way to present their services and their products to any potential client in order to continue their market leads or to break into a specific market. And using creative designs on various advertising and marketing materials is one way to get the attention of their targeted audience base. This is the reason why, as the design head, you need to ask yourself if a certain design can measure hold up well against its competitors in the same industry or not. Your answer to this question will greatly help you determine how a client will react to being presented with a specific design mock-up or suggestion. By keeping this question at the forefront of your mind before you choose a final design, you will already have gauged how your design can be compared with and measure up against the designs of other services or products in the market. Clients will certainly appreciate it when you have already taken out the competition comparison task out of their hands and they will only be left with a design that can do wonders for their own businesses. Is the design too expensive or difficult to reproduce? As we have mentioned earlier, creative designs can be used in and incorporated into different end products and for various purposes. For example, a company letterhead design may be used in official company letters or memos while the design itself can be used as the official seal or logo design. However, in some cases, some graphic design projects may call for complicated configurations or the use of non-traditional art mediums. To illustrate, if you are tasked with the creation of a luxury fashion house’ corporate branding designs and you opted to incorporate 3D elements as the design base, the entire project can be costly to reproduce and make it work for different design mediums due to its complexity. Of course, high-end fashion houses can certainly pay for this kind of project. But this may not be the case for other businesses. This is one reason why graphic designers and artists need to ask themselves if any of their design suggestions is cost-effective or easy to reproduce or not. It is the job of the designer to create designs that will fit the client’s budget. You need to choose a final design that can be used on different presentation mediums without affecting the design end quality. Does the design bring you joy? This last question may not sound too pragmatic but it is a good way to assess whether or not a specific design is worthy of being the final design for any kind of creative project. Before you decide on what final design to use and/or present to your client for approval, you first need to ask yourself and your team (if applicable) if a certain design suggestion brings you joy or not. It’s a simple yet important question. As the creator, you first need to be satisfied and be happy with a certain design yourself before you can wholeheartedly suggest its use to a client. It also matters that you are comfortable with how a final design will be used by your client. You need to ask yourself if a design brings you joy because it is only after honestly answering this question can you facilitate the use of your design to bring joy to other people’s lives. Are You Now Ready to Choose Your Final Design? Graphic design plays an important role in business and in daily life. As a graphic designer, just like any person who has a passion for creative arts, you need to carefully balance creating for yourself and for an audience. With the use of the seven questions that we have listed above, we hope that you can more accurately choose the best final designs for whatever project you may be working on. A trademark represents the distinctive sign through which a business presents itself on any given market and this is why is very important to convey the message of the brand to its customers. It can be said that the trademark is the most relevant asset of a business, as it will distinguish the company’s products or services from the ones of the competition. A sign becomes a trademark once the company that owns it registers it on the market in which it will operate; more exactly, when it is available for commercial use. In order to create a distinctive trademark, there are several tips that could help increasing the visibility of the brand. One of the main aspects to consider when registering a trademark in any given jurisdiction, such as Japan, Italy or Ireland, is to create a logo that respects the requirements of the local legislation (for example, certain words can’t be registered – such as offensive words). At the same time, it is necessary to avoid descriptive words – represented by words that offer a description of the product or service, due to the fact that these words do not refer specifically to the company’s products/services, as they may also be used by competitors. In Ireland, the legislation states that the local authorities can’t register trademarks that are identical or even similar with other trademarks that have already been registered in this country. At the same time, it is necessary to decide on the colors of the trademark, as the sign chosen will be registered only for the respective colors and the company will not be entitled to promote its products or services by using other colors than the ones already chosen. In other countries, such as Estonia, certain types of trademarks can’t be protected under the local legislation if they lack a distinctive character; for example, if the logo is created only from letters that do not have a stylized form, it can’t be registered with the local authorities. As a general rule, words that do not truly exist (invented words, a logo created from the association of two different words) in the vocabulary of a country tend to have the highest visibility rate, as they are new for the consumer market and they offer a competitive advantage through their novelty. Another way to increase the power of a trademark is by creating a catchy slogan to be associated with the company’s products. The combination of words and numbers can also represent a good idea for establishing a trademark and it advisable not to use three letter acronym logos, especially when the investors do not dispose of a large capital to be infused in marketing and advertising purposes. In the situation in which the trademark is composed of several words, it is highly recommended to make the first word as memorable as possible – for example, by using foreign words, words describing animals, plants or fruits. 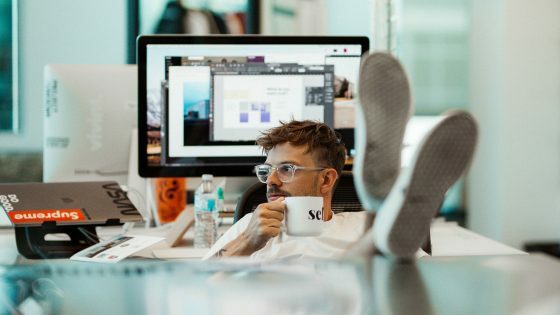 If you are running a design company, or you are a freelancer company yourself, you surely have realized that you spend so much time on your email every day. Email communication is a very important part of professional life; it helps build a relationship with a client and maintaining that relationship. Social media is knowledgeably important for your marketing strategy, it reaches your audience and enables a personal contact with your target group. Although, researches have shown that marketing via email has been much more effective in design, as email helps you build trust from the very beginning of your communication with the client. Aside from being the most effective, it is also not taking almost any of your resources. You don't need much money for this kind of marketing! And the greatest benefit, for sure, is the opportunity to personalize your messages and really connect with the potential customers. 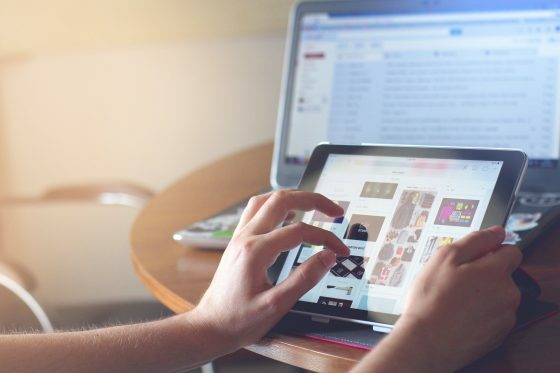 To make your email marketing strategy effective, your emails should have a call to action - invite people to open your website, purchase a service, place an order. Most useful ways to reach your audience via email and get an interaction with them is via newsletter and email surveys. There are various online tools which help us bring our email strategy to life, such as Mail Chimp for example. Aside from making the creation of newsletters super easy, Mail Chimp also offers strong support for keeping track of the results of your marketing. Another familiar tool on the market is for sure Survey Monkey, easy and free software which helps you send out your surveys for your market research. A new fish in the sea of email marketing, which we would love to share with you, is Survey Anyplace. Survey Anyplace is not just another survey creator. Survey Anyplace is for those who want to try something different, exciting and creative. Surveys are important for your business to get a feedback and analyze your market - know how to improve your job. Surveys are necessary for you, but can also be a little too much for your audience and tiring at times. The Survey Anyplace knows this, which is why they are offering a much more interesting and fun way to communicate. What COLOURlovers would be happy to hear is that this app has some freaking cool design features; you can completely customize everything and fit it to your brand. Their other features, such as new quality questions, incentive widgets, opportunities to create a quiz, possibility to integrate your social networks and share the management between your team, are some of the reasons why this new app got real popular real quick. We recommend you to check it out and give email marketing another chance to be a fun and playful way to keep your customers happy and coming back!